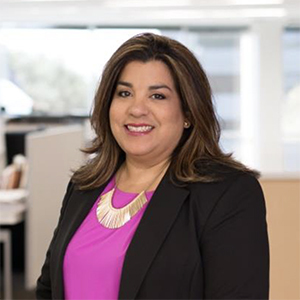 News Results for "VLK Architects"
VLK Architects proudly announces the promotion of Monika Castillo to Principal. This promotion is in response to her outstanding leadership and service that she has exemplified within the firm and to VLK’s clients. VLK Architects proudly announces the appointment of Brad Ewing, Rudy Starks NCARB, and Ken Loose as new Associates. To become Associate, individuals must be self-motivated and consistently demonstrate the initiative, talent, and commitment of assuming additional responsibilities and leadership roles. They also must show exceptional understanding of the many facets of the architectural practice, develop and strengthen relationships with our clients and business associates, guide and enhance the development of staff, and contribute to the advancement of the firm through innovative ideas and efforts. Lake Jackson, TX – On March 22nd, VLK Architects celebrated breaking ground on the replacement of Brazosport ISD’s Bess Brannen Elementary. Celebrating the school’s 50th anniversary, and located on the outer edge of the surrounding neighborhood along Highway 2004, the construction of the new elementary aims to greatly improve traffic at the intersection of ‘That Way’ and ‘Anchusa Street’ by providing extensive off-street stacking lanes at the main entrance drive, as well as a dedicated bus/van drop off area, and an additional drop off location at the rear of the school. This state-of-the-art facility is the fourth iteration of a prototype funded by the district’s 2014 bond and will serve over 750 students in grades pre-kindergarten through four. Houston, Texas - On January 20th, VLK hosted students from Klein Collins High School and Bridgeland High School for Job Shadow Day. This event provided students with the opportunity to learn about the professional world through connection with individuals that are experts in their fields of interest. This is the fourth year VLK has welcomed students who get to experience a day in the life of an architect. Katy, TX – The Gerald D. Young Agricultural Sciences facility has received an expansion for the benefit of Katy ISD’s FFA and Agricultural Sciences program and the whole community. 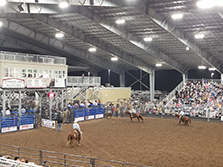 With the tremendous growth of Katy ISD in mind, modern structures were created to allow for evolving student needs and to allow students and teachers to interact outside of the classroom from the school barns to the project center, the eco-pond, show pavilion, and covered rodeo arena. VLK Architects’ design of Arlington ISD’s Dan Dipert Career and Technical Center has earned the Texas Association of School Administrators (TASA) and Texas Association of School Board’s highest recognition as a finalist for the 2018-19 Caudill Class of the Exhibit of School Architecture. On February 4th, Katy ISD hosted a dedication ceremony for their newest elementary school that opened in August 2017, Robert and Felice Bryant Elementary. On June 7th, VLK Architects attended the groundbreaking ceremony for Katy ISD’s newest school, Robert and Felice Bryant Elementary. Last week, Charles Johnson, AIA, Ross Rivers, AIA and Tim Kunz, AIA, NCARB, were named Senior Associates. VLK Architects’ Brad Ewing, Angel Rivera, Associate AIA, and Krista Thomas served as judges for the Brazos Valley Technology Student Association (TSA) Contest held at the Cy-Fair Telge Ag Exhibit Center on Thursday, March 10. VLK Architects attended the Margaret S. McWhirter Elementary School rededication ceremony Thursday, March 3. 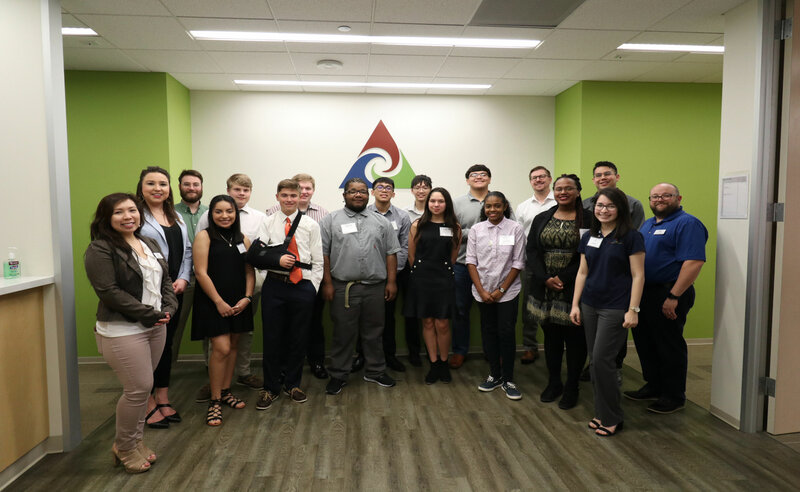 On Thursday, February 11th, VLK Architects hosted five students from Klein Collins High School from Klein Independent School District for Job Shadow Day in our Houston office. Architecture is everywhere but having the ability to teach the understanding and complexity of architectural design is another endeavor. VLK Architects is proud to have assisted four schools districts in calling their bond elections for May 11, 2013. VLK Architects is proud to announce Tim Kunz as a newly registered Architect. VLK Architects is proud to announce the promotion of Sloan Harris, AIA, as firm Principal. VLK Architects has completed work on the newest high school for Eagle Mountain-Saginaw Independent School District, and it’s ready to start welcoming its first students for the fall semester.